As a company dedicated to building trust in every relationship throughout its organisation, O’Connor Sutton Cronin Multidisciplinary Consulting Engineers is delighted to announce that we have been officially recognised as one of the Best Workplaces in Ireland in 2018. 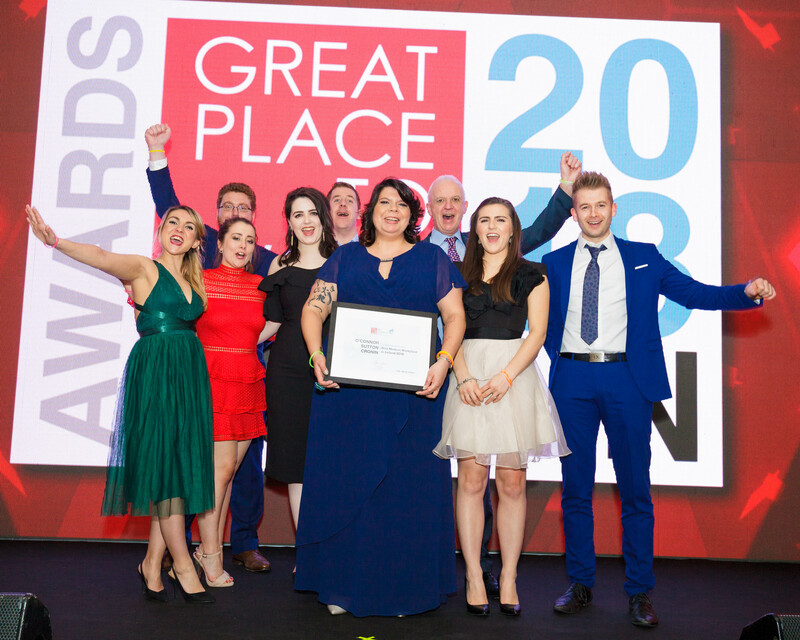 OCSC were recognised at the annual Great Place to Work Best Workplaces in Ireland awards in the Clayton Hotel on Burlington Road, Dublin on Wednesday 21st February. This is our first year to be named as a top Irish workplace, based on the findings of a robust employee survey and a thorough assessment of our policies and practices by the Great Place to Work Institute. OCSC was recognised as the 14th Best Medium Workplace in Ireland 2018. The 2018 full list of organisations and award winners, as well as rankings from previous years, are available at www.greatplacetowork.ie.